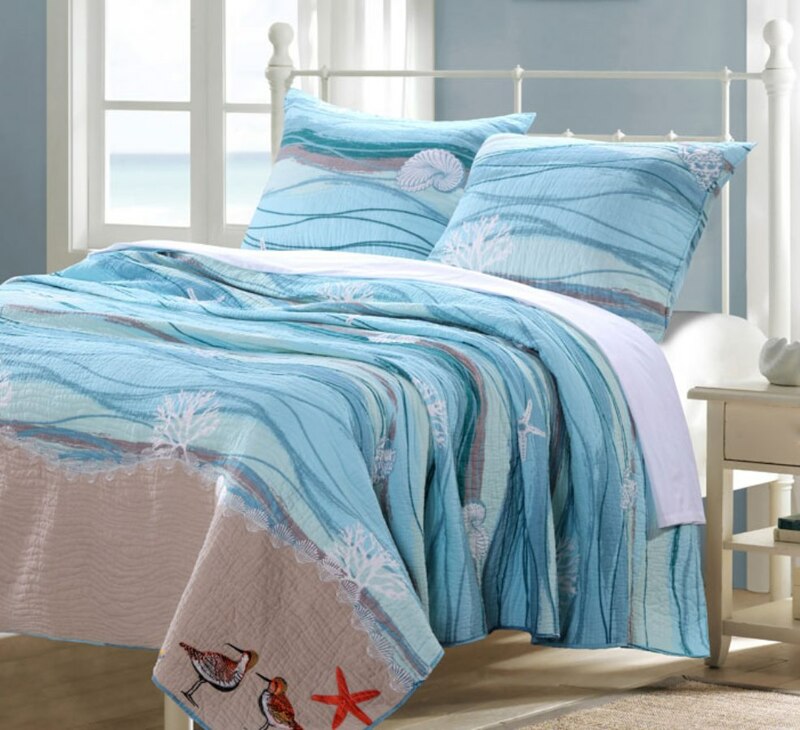 Transform your bedroom into a tropical paradise with this quilt set in soothing shades of turquoise, teal, and ocean blue waves. 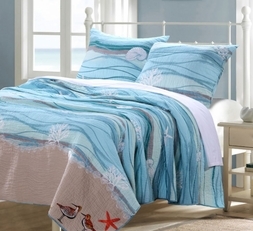 Adorned with embroidered sea shells, corals and shore birds, and a beach sand border. Reverses to an all over wave print. 100% Cotton throughout.